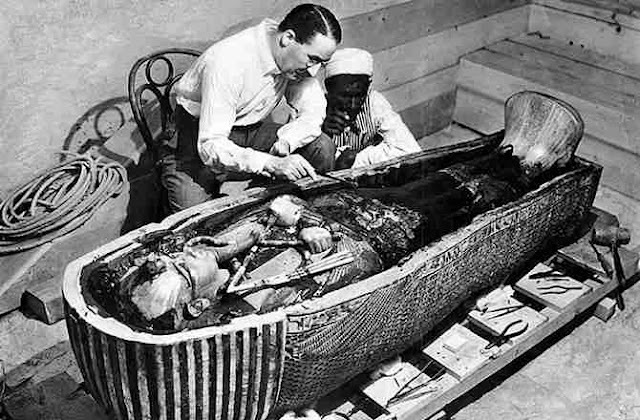 Next week we will take a look at Howard Carter's awesome monumental discovery of King Tutankhamen's Tomb, also known as King Tut or the Boy King. Before we look in detail at the king and Carter's discovery, take a look at these interesting facts courtesy of National Geographic Kids. mummies are big and scary. The movie was fun and scary it was about king tuts tomb or chamber. King tuts body is scary and very creepy. A mummys tomb takes days to find. Howard carter was brave enough to find king tuts tomb or chamber. I read the nat geo kids and it was all about king Tut and haward carter,carter was the first one to discover king tuts tomb it was awesome!